Kirchen Insurance, Wisconsin Independent Insurance Agents since 1960. As an independent insurance agency, Kirchen Insurance can offer just the right coverage with the personal touch you would expect from your neighborhood insurance agent. Kirchen Insurance is there for all your needs: Personal, Commercial, Specialty, Life, and Individual Medical Insurance for all ages. 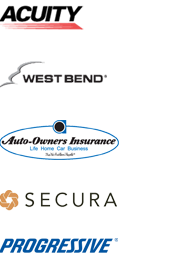 As an Independent Insurance Agency, Kirchen Insurance represents many companies. This allows us to develop the best package to meet your needs. 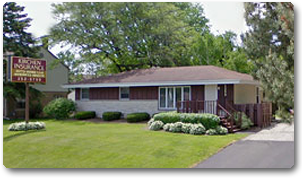 We are located in Glendale, WI, serving metropolitan Milwaukee, surrounding suburbs and all of Wisconsin. Offer personalized insurance service at a competitive rate. We take the time to understand your needs and offer the best policy to meet those needs. At Kirchen Insurance if you have questions or concerns, you will speak with an agent who understands your account. Dealing with an agent ensures that someone who understands the intricacies of your account will be accessible to you. It is easy to get a quote. Click on Request a Quote and provide just a little contact information. An agent will contact you personally to discuss your insurance needs and develop a quote. © Copyright 2015 Kirchen Insurance, Inc. All rights reserved.